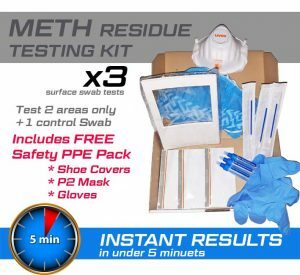 Home Meth Residue Test Kits for the detection of methamphetamine are designed for everyday people concerned their house, unit or even the back shed may have been used as a clandestine drub lab to manufacture illegal substances. Our kits are highly accurate and will detect extremely low levels of methamphetamine surface contamination. 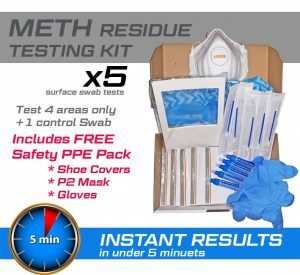 These meth residue test kits can be used to test any surface for methamphetamine residue from Houses, Sheds, Boats, Cars and even drug cooking/smoking utensils or suspicious items you might think have been part of a meth lab. 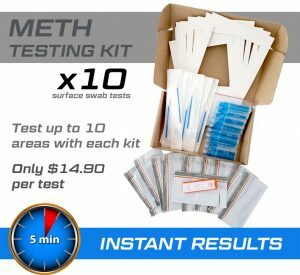 DIY Home Meth Residue Testing Kits are designed to be presumptive and will only display a positive reading if above the Australian Clandestine Drug Laboratory Remediation Guidelines of 0.5 ug (micrograms). Testing a property for methamphetamine residue can now be completed within 5 minuets using one of our DIY Drug Residue Test kits. Exclusively designed in the Netherlands for 0.5ug detection and an extremely accurate way to detect meth contamination on a hard surface. Cheaper kits will only show positive when 1.0 ug or well over the safe detection limits set by the Australian Clandestine Drug Laboratory Remediation Guidelines. 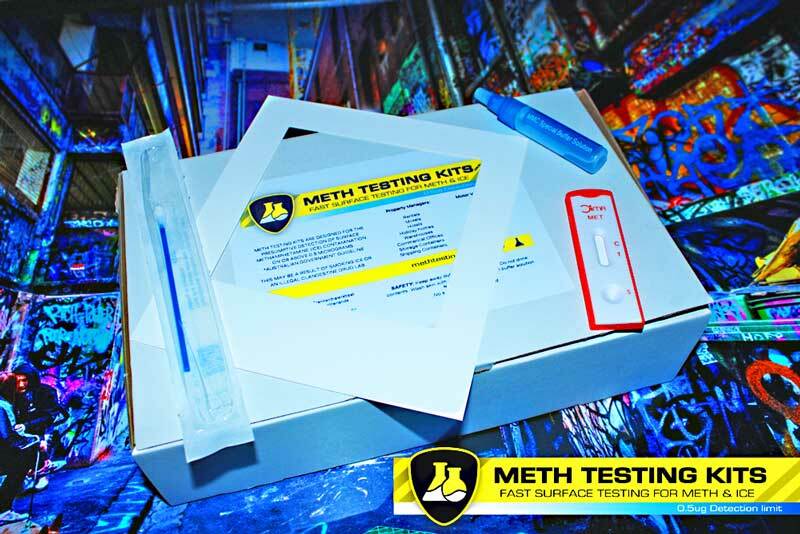 Each DIY Home Meth Test Kit contains step by step instructions and all the tools to ensure your sample is accurate. Don’t trust other Chinese made kits that do not test the the Australian guideline levels or carry validation documentation from the suppliers. If the reading is positive the next step is to arrange one of our trained technicians to visit the proeprty and conduct detailed Lab sampling. To find out more about testing your house for Meth, check our FAQ page or call 1300 246 429 to speak with a HAZMAT accredited meth lab remediation technician.